Social anxiety disorder produces intense fear during situations involving interactions with other people. It can be a debilitating disorder that may produce significant isolation. For some, getting out to social gatherings and situations can create social anxiety. People with social anxiety disorder (SAD)—also called social phobia—have an intense fear of social situations, especially if they believe they’ll be judged or scrutinized by others. So, while going to a party may produce what feels like anxiety, a party in which the person is the guest of honor might produce anxiety at a higher intensity—so overwhelming it becomes difficult to even enter the room. It’s perfectly normal to feel apprehensive or nervous about an upcoming social event. Most people feel at least some anxiety about the prospect of being the center of attention or having to get up and talk in front of a room full of people. With SAD, the difference is in the intensity of the fear, sometimes even in social situations that tend not to be uncomfortable for most people. For instance, while you may not like it when someone strikes up a conversation with you in a waiting room, the experience may be so intolerably frightening for a person with SAD that he or she has to leave. Does SAD Get in the Way of Your Life? 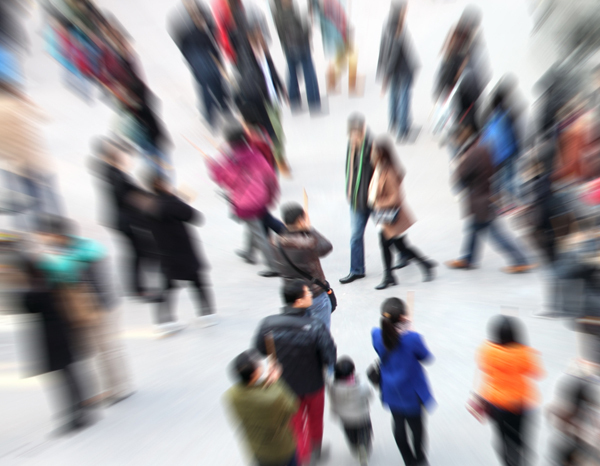 Social anxiety disorder can affect virtually every aspect of a person’s life. People with SAD may find it extremely difficult to go to school or work. They may stand in a corner, sweating profusely and stammering whenever someone tries to talk to them. They are hyper-aware that they appear to be acting strangely, which only contributes to their mounting fear. Often, people with social anxiety disorder worry excessively that others will see them in a negative light, perceiving them as anxious, weak, crazy, boring, stupid, awkward, or otherwise unlikable or offensive. Their anxiety feeds into the disorder, since a common concern is that their fear will be obvious to others. While some judgment of others does occur in social situations and people with SAD do typically appear nervous in social situations, their fear of negative judgments is out of proportion with the amount of judgment that is likely to be really going on. It’s important to understand that people with social anxiety disorder often want to socialize and connect with others. It’s not a question of not liking people. It’s simply that the anxiety and fear they feel in social situations is so overwhelming, they are unable to enjoy the positive aspects of these interactions. If the condition lasts long enough without treatment, people with SAD may come to believe they dislike other people because they have learned to associate being in social situations with fear and anxiety. But with treatment, they soon rediscover the benefits and pleasures of social interaction. Adopt an ongoing exercise program (taking a 30- 45-minute walk three to four times per week is an easy way to get started). Look also into mindfulness meditation, yoga, or other relaxation exercises. affective disorder, anxiety, anxiety and depression, anxiety disorder, anxiety symptoms, anxiety symptoms in men, anxiety symptoms in women, balanced diet, depression, diet, exercise, exercise program, fiber, health, health news, healthy fats, light therapy, meditation, mindfulness, mood, protein, relaxation exercises, restful sleep, sad, sad disorder, sad seasonal, sad seasonal affective disorder, seasonal affective, seasonal affective disorder, seasonal depression, seasonal disorder, signs of anxiety, sleep, social anxiety, social anxiety disorder, social phobia, type of depression, university health news, vegetables. Have you had to work past a social phobia of some sort? Tell your fellow reader what measures have helped you overcome….